The camera that was used for this shot has a filter that covers the red/orange end of the spectrum as well as infra red allowing colour to be used. One can select colours to be displayed whilst making the rest of the image black and white. 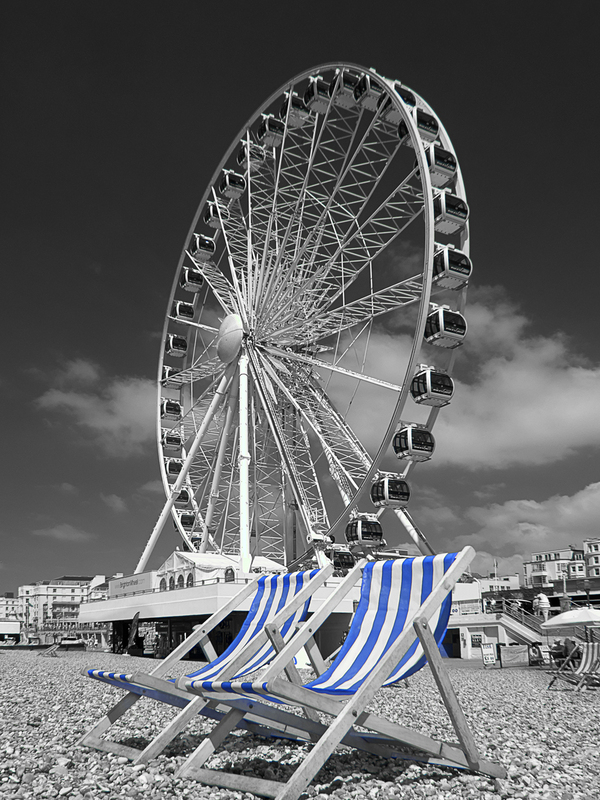 The original colour of the deck chairs was, actually, blue but this can be changed in Photoshop in an instant to any other colour.